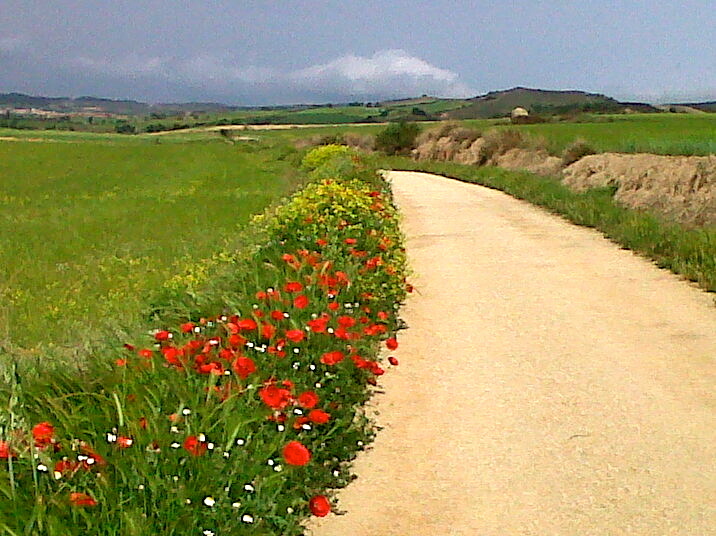 Path Paved With Poppies – Celebrating Freedom! In Celebrating Memorial Day and reflecting on my Camino this time last year there are many words that come to mind – GRATITUDE – PEACE – TRANQUILITY – NATURE’S BEAUTY – FAMILY & FRIENDSHIP – and much more but one word that provides the opportunity to feel those other emotions and to truly CELEBRATE LIFE is FREEDOM! The Camino is full of gifts and blessings that continue to unfold in our hearts and minds. Even before the experience, during and after the Camino is sharing its many gifts inviting us to experience, express and enjoy FREEDOM! Remembrance Day (also known as Poppy Day or Armistice Day) is a memorial day observed inCommonwealth countries since the end of World War I to remember the members of their armed forces who have died in the line of duty. This day, or alternative dates, are also recognised as special days for war remembrances in many non-Commonwealth countries. Remembrance Day is observed on 11 November to recall the end of hostilities of World War I on that date in 1918. Hostilities formally ended “at the 11th hour of the 11th day of the 11th month,” in accordance with the Armistice, signed by representatives of Germany and the Entente between 5:12 and 5:20 that morning. (“At the 11th hour” refers to the passing of the 11th hour, or 11:00 am) World War I officially ended with the signing of the Treaty of Versailles on 28 June 1919. The red remembrance poppy has become a familiar emblem of Remembrance Day due to the poem “In Flanders Fields“. These poppies bloomed across some of the worst battlefields of Flanders in World War I, their brilliant red colour an appropriate symbol for the blood spilled in the war. This entry was posted in Acts Of Giving & Sharing, Camino Inspirations! and tagged camino, culture, history, nature, outdoors, photography, spirituality, traditions. Bookmark the permalink.